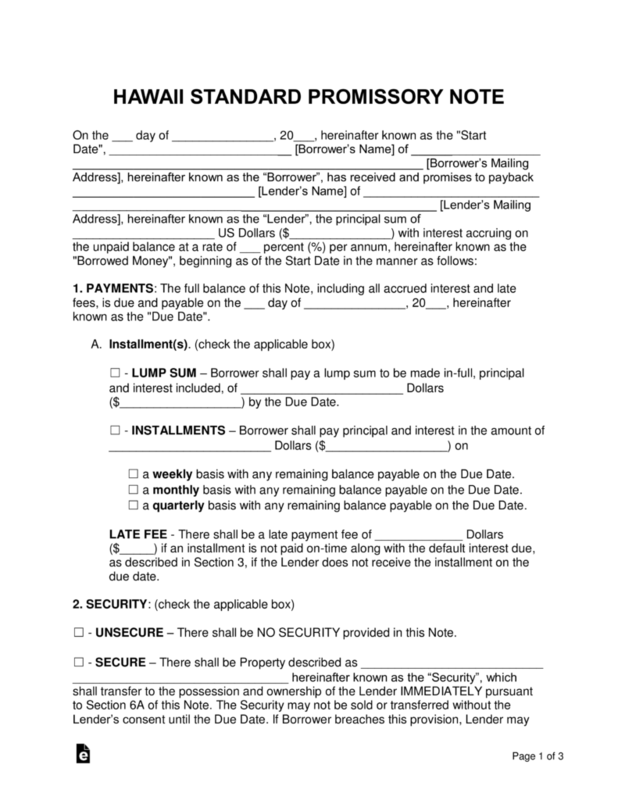 The Hawaii promissory note templates are a set of documents purposed for two parties and is to be used for the loaning of money between a lender and borrower. The document has sections that cover interest rates, late fees, payment types, and other important areas. Secured Promissory Note – Gives the lender security in the case of a default on the balance. The borrower and lender will determine item(s) that will be used as security before the signing of the agreement. Items that are typically used are homes, vehicles, or any other physical object with monetary value. 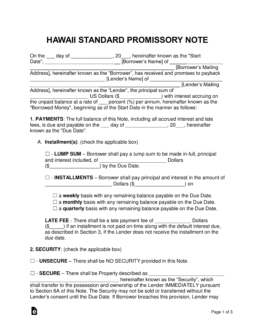 Unsecured Promissory Note – Lenders that utilize this document should ensure the borrower they are loaning to can be completely trusted with his or her payments. This is because the lender has no concrete way to be reimbursed for the money loaned to the borrower, and has to resort to small claims court and reporting the borrower’s default on his or her credit.